Once again August has retained its name as being the noticeable calm before the storm, as we move towards the imminent arrival of the blockbuster triple A games quickly heading our way. Along with some potential surprise packages, our ever-growing wish lists will soon be freshly swamped over as the rest of 2017 is set up to be a highly anticipated time for gamers. The last quarter of our gaming calendar is always one of pure excitement as new developers, along with our favourite ones, turn up to give us their latest titles. Games that introduce us to new heroes and transport us into imaginative new worlds are set up, ready and waiting to be delivered to fans in what is shaping up to be a great Autumn for Xbox. Autumn can also be that dreadful time of year when the same old questions begin to close in on your mind once again. Which games are going to make the cut, and which ones will have to be bought at a later date? That being said, here is a list of my most anticipated games for the rest of 2017 to try and help you decide. Out of all the upcoming Autumn titles on this list, Assassin’s Creed Origins has the most to prove. Ubisoft stopping its yearly cycle of Assassin’s Creed games, in order to pursue a new two-year development process, has allowed the team at Montreal that little bit more time to reinvent the beloved franchise. 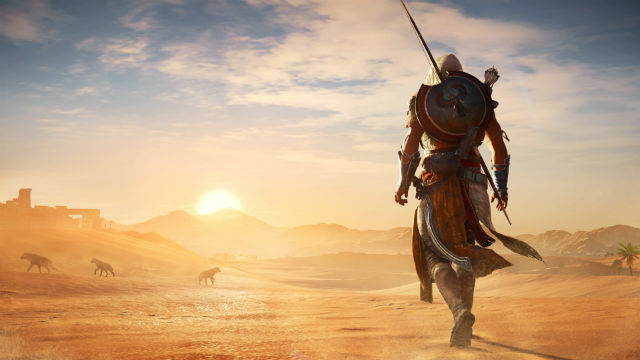 Rumours that had been circulating in the build up to E3 were finally confirmed when it was announced that Assassin’s Creed was going to be set in Egypt, in what shaped out to be one of the most impressive premieres of the entire conference. The vastness of its open world, the portrayal of its versatile combat system, and the promising advancement of its single player really showed off the game’s capability in what looks like being one of Autumn’s hottest titles. Its move towards an ‘Origins’ story has put in place a game that not only introduces new players to a nearly decade old series, but allows the old faithfuls to rekindle a connection back to a sadly out of touch series. Has Origins got enough to make gamers choose it later this year? Ubisoft sure think so. 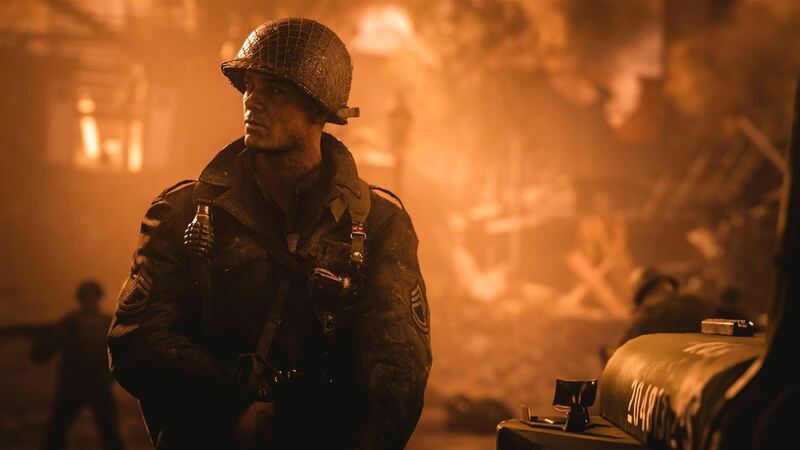 In what promises to be a big year for Call of Duty, Sledgehammer Games are bringing back the basics to another franchise that has slightly lost its way over the past few years. No more futuristic travel, no more high-powered equipment, this is ‘boots on the ground’ combat that sees the return of the classic Call of Duty gameplay that made its fan base fall in love all those years ago. Set against the back drop of World War II, Sledgehammer Games will introduce us back to the heroism and bravery of the soldiers who fought in the European theatre of war. Following the journey of 19-year-old Private Ronald “Red” Daniels, players will fight their way through some of the most significant moments of the Second World War in a game that promises to offer a cinematic and emotion driven masterclass of the highest nature. Call of Duty: WWII is already top of many lists, will it be on yours? Cuphead is arguably the most fascinating game to come out later this year – the impressive previews and gameplay videos have built an anticipation amongst gamers who share a common interest in wanting the experience to be everything the game promises to be. Cuphead takes its style right back to the animation of the 1930s and its gameplay takes the form of the classic 16-bit run and gun platformer seen throughout the late 1980s and early 1990s. Since its reveal back in 2014, there has a been an ever-growing buzz surrounding StudioMDHR’s vision, as fans eagerly await the arrival of September 29th. 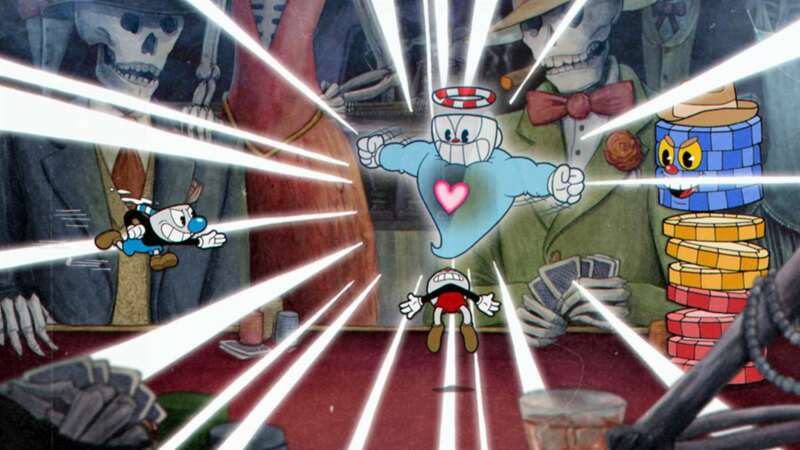 This could be the surprise package of the Autumn as Cuphead is set to present an exciting freshness to the gaming calendar, aiming to compete amongst the blockbuster titles later this year. Middle-Earth: Shadow of War will no doubt take off where its prequel Shadow of Mordor left off, and produce another classic example of open world gaming. Shadow of War is set to continue its link to J.R.R. Tolkien and Peter Jackson’s masterpieces, submerging its players back into the much-loved world of Middle Earth. With the use of a new ring of power, you begin to forge your own personal army in search of conquering the land of Mordor in a design that promises to give individual players their own specific choices to make. The team at Monolith Productions are looking to create a world that offers its players something to really sink their teeth into – its single player will be tailored to your individual style and its gameplay looks to offer an experience to be enjoyed for hours at end. 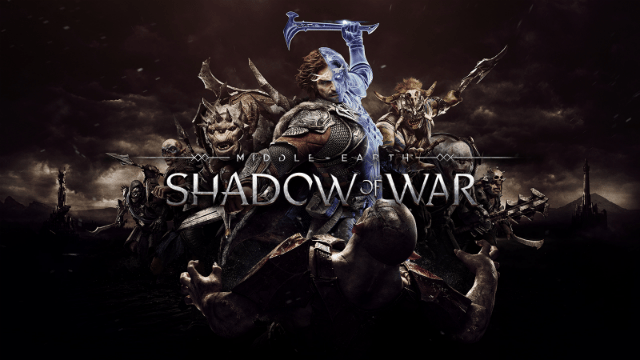 Shadow of War is yet another vast open world game to take your fancy and it firmly intends to continue the hugely positive reception that greeted the series back in 2014. Since the release of Star Wars Battlefront in 2015, the developers over at EA DICE have spent their time in between games closely listening to their community. 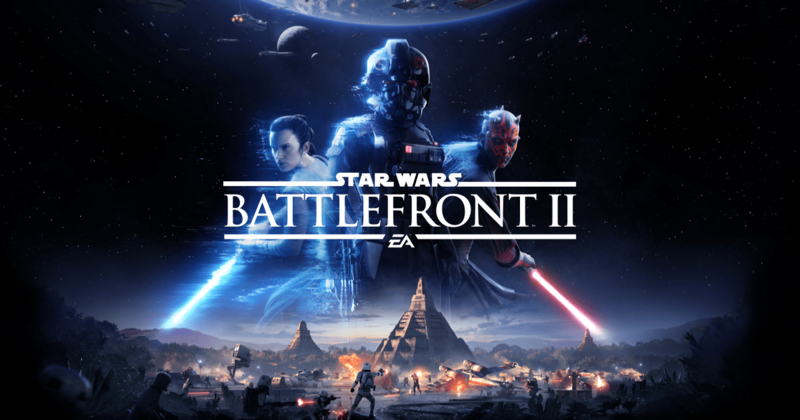 This November changes will be applied to accommodate the most sort after feature missing from the previous instalment, as Star Wars Battlefront II releases with a greatly appreciated and much-anticipated single player experience for gamers to really go hands on with. The game’s campaign will tell the events surrounding the end of The Return of the Jedi and the beginning of The Force Awakens as players begin to connect the blanks of the much-loved story. The use of official locations, as well as characters from all eras of the movie franchise, will also give an added nostalgic feel to an already established immersive multiplayer platform. Star Wars Battlefront II intends to give the ever-dedicated Star Wars fan base something to really look forward to and gamers are quickly beginning to count down to the highly anticipated release date. When Microsoft premiered Forza Motorsport 7 as their opening game on the Xbox One X, they were able to portray the continual beauty of the Forza franchise that fans of the series have witnessed throughout the past few years. The Forza brand continues year after year to be up there amongst gaming’s elite and this year sees no sign of change as the next instalment of the Motorsport series gears up for its fans waiting patiently in the pit lanes. 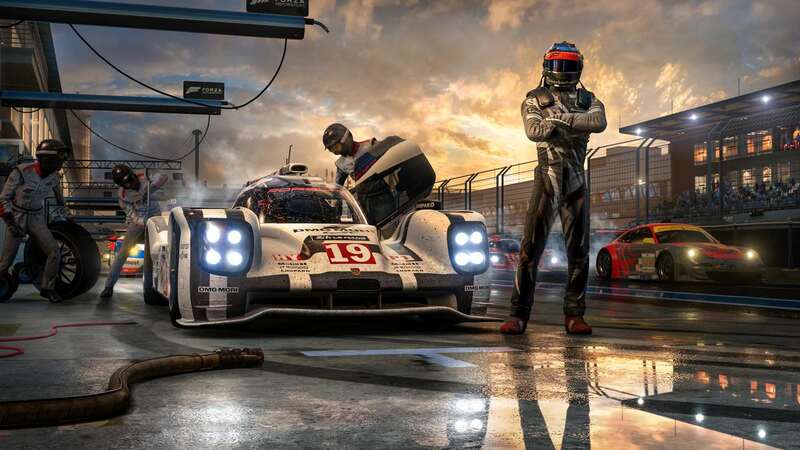 Its stunning visuals, licenced tracks, and impressive gameplay mechanics means Forza has shifted to one of the most impressive racing games on the market. In its most dynamic year yet, the team at Turn 10 Studios are set to continue the high calibre of production that has firmly cemented itself onto the Forza name as they prepare to deliver another fantastic addition to the series. Will Forza Motorsport 7 be the racing platform of your choice this October? So there we have it – 6 of my most anticipated Xbox One titles that will be hitting both digital and physical shelves throughout the latter months of 2017. What do you think of the list? Have I missed anything off? Let me know in the comments below. How Can Microsoft Fix Xbox’s Exclusive Games Dilemma?